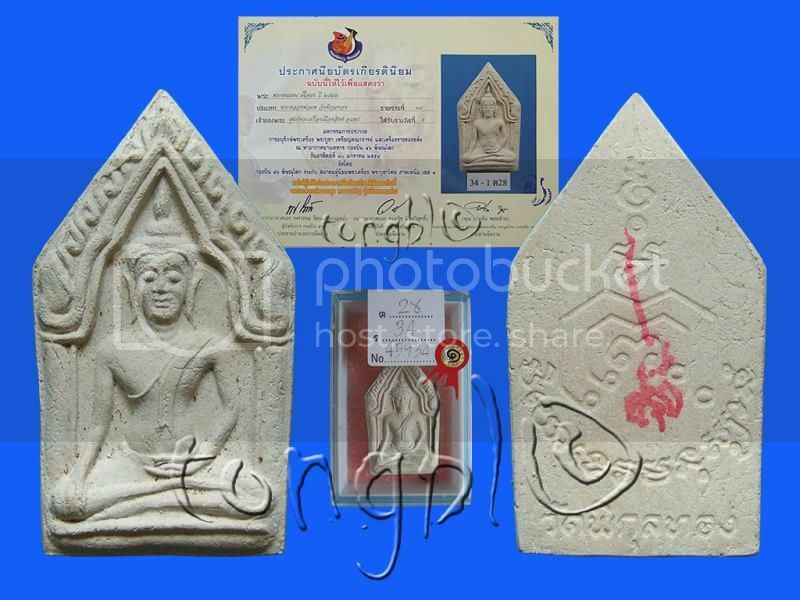 Phra Leela 25 Buddha Sattawat, Nur Takua (Lead), B.E 2500. Mass chanted by 108 Great Gurus at Wat Suthat. 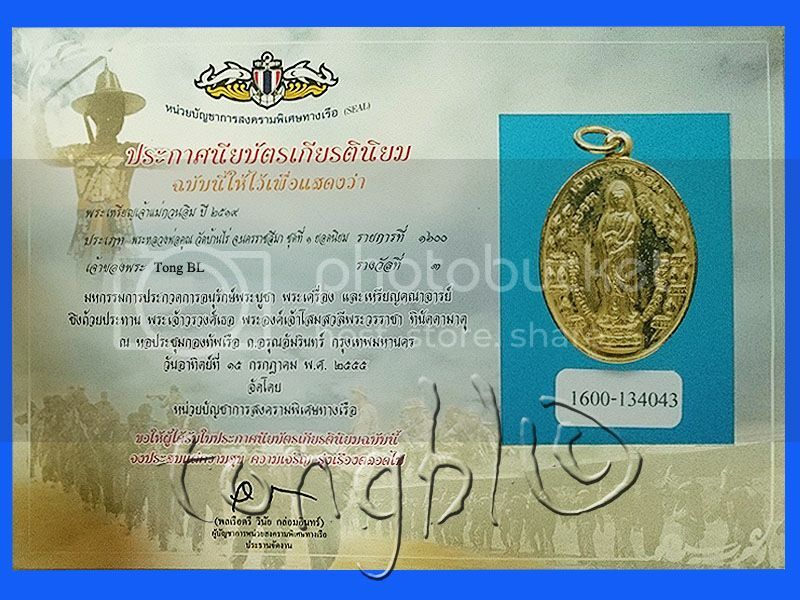 Awarded 1st placing in amulet competition on 14/10/2555. 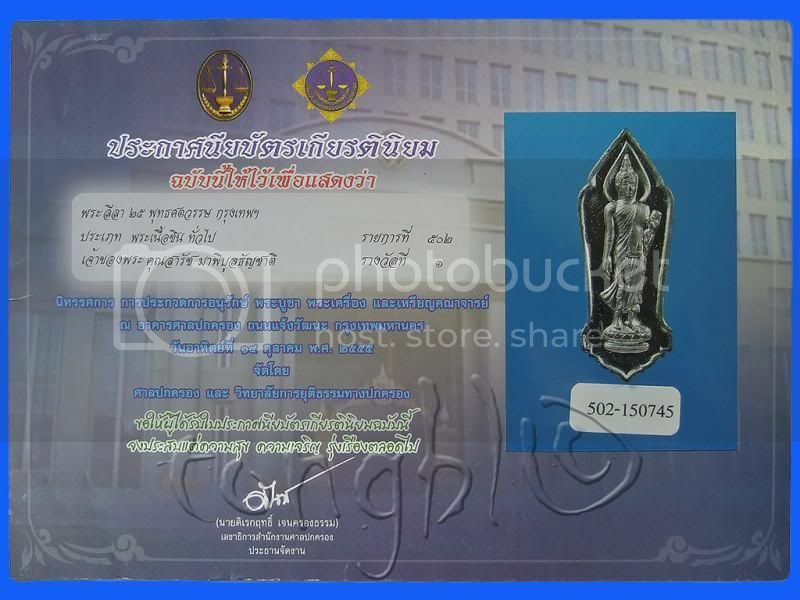 Phra Khun Paen, Roon Raek, Phim Yai, B.E 2522. Chanted by Luang Phor Pae, Wat Pikulthong, Singburi. 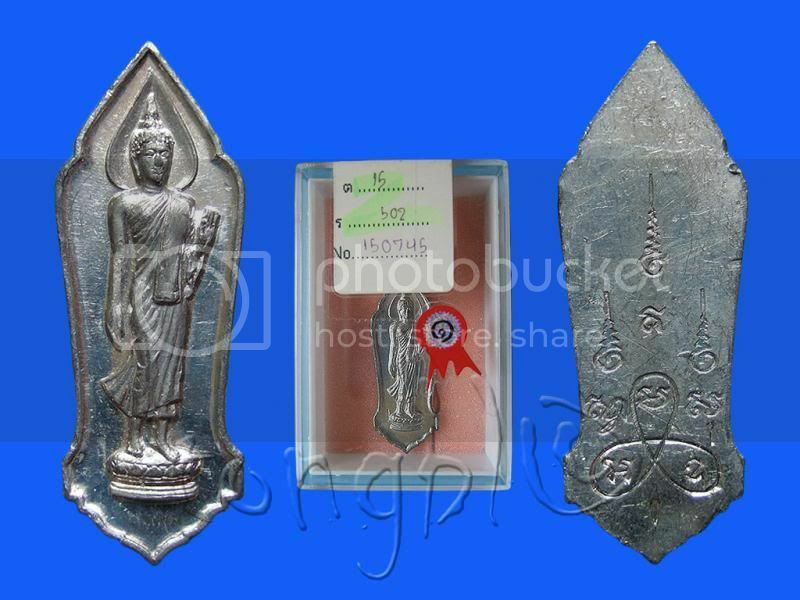 Awarded 1st placing in amulet competition on 30/1/2554. 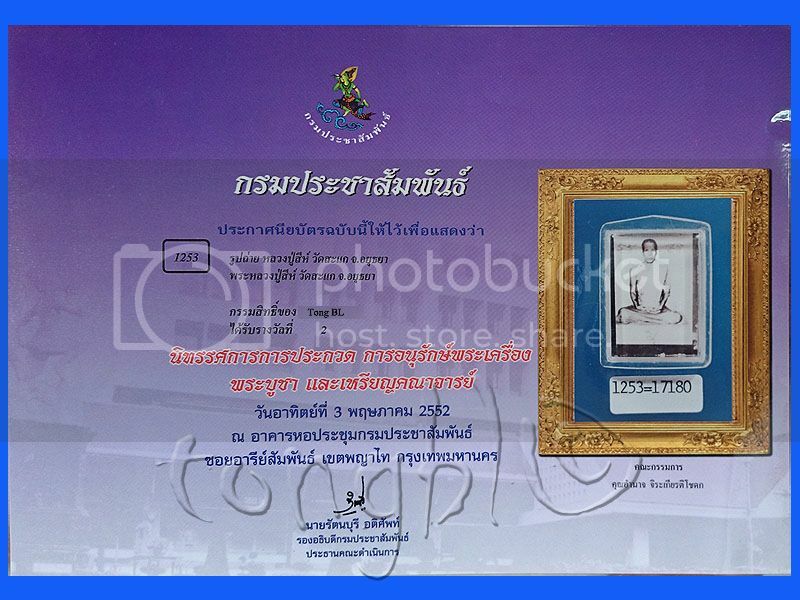 Phra Somdej Pae Pan Kanaen, Blok A, B.E 2510. 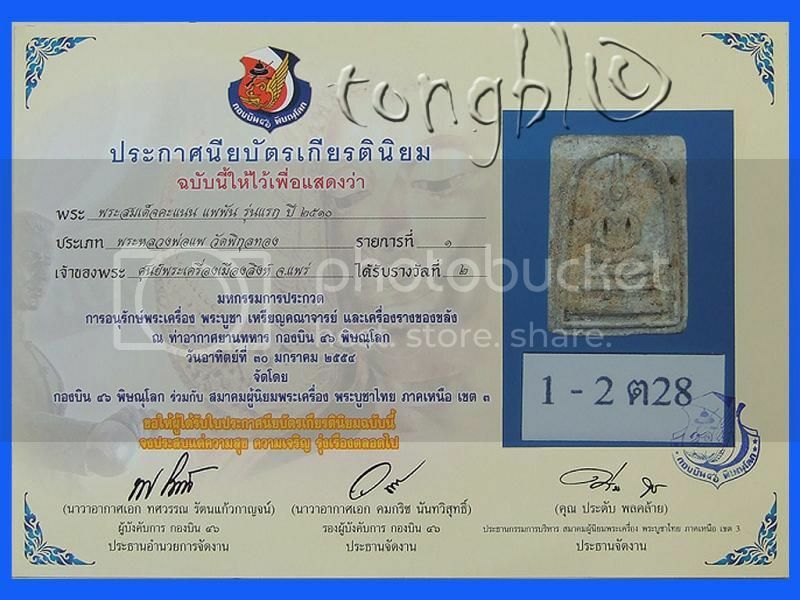 Awarded 2nd placing in amulet competition on 30/1/2554. Both 1st and 2nd placing awarded. 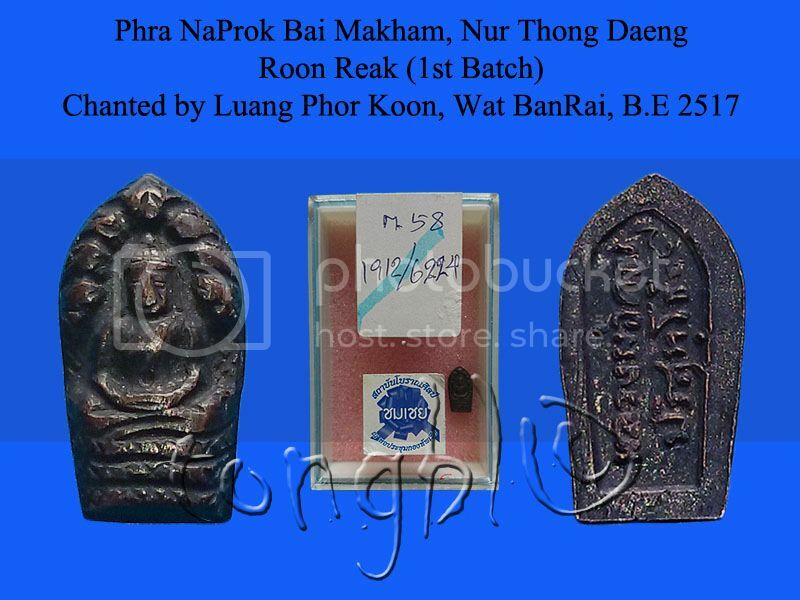 Phra NaProk Bai Makham, Nur Thong Daeng, Roon Reak (1st Batch). Chanted by Luang Phor Koon, Wat BanRai, B.E 2517. 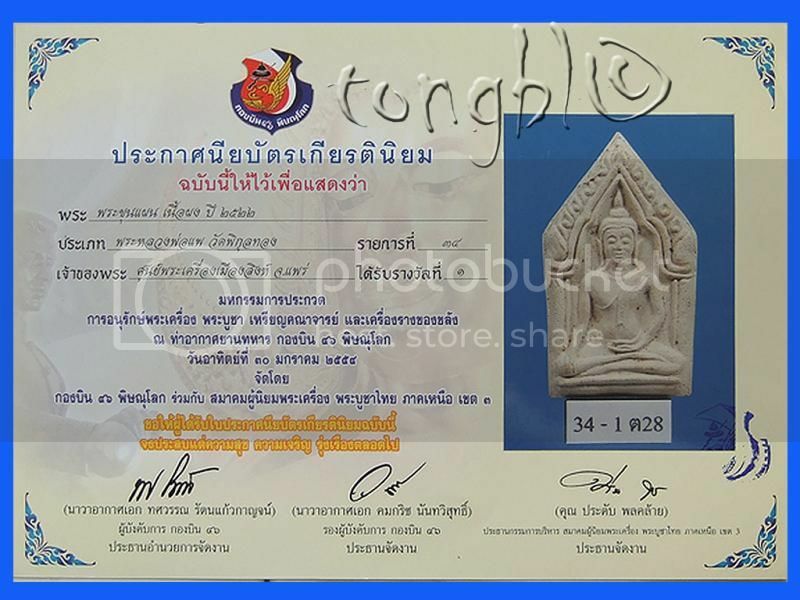 Awarded 4th placing in amulet competition on 4/9/2554. Lp koon naprok 4th placing awarded. Roop Taai (Photo), Luang Pu See, Wat Sakae, Ayutthaya. 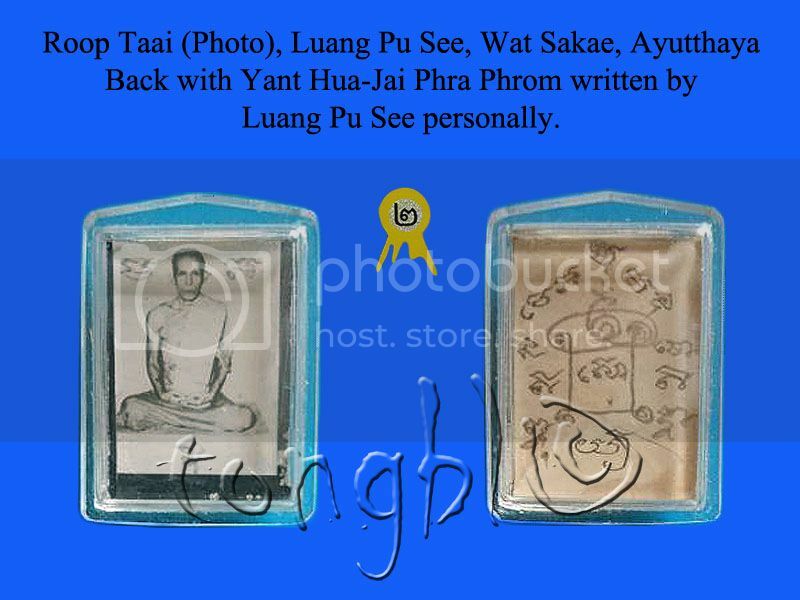 Back with Yant Hua-Jai Phra Phrom written by Luang Pu See personally. 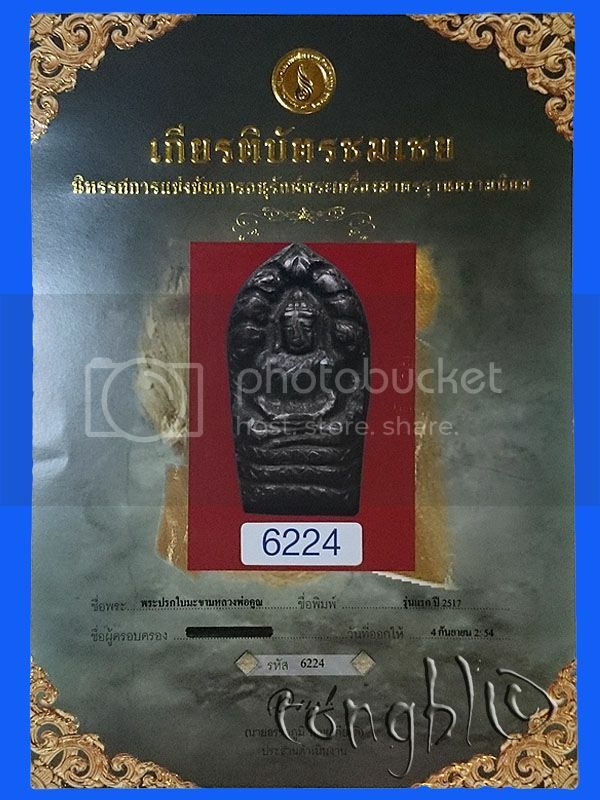 Awarded 2nd placing in amulet competition on 3/5/2552. Rian Chao Mae Guan Yin, Nur Thong Deang Kalaithong. 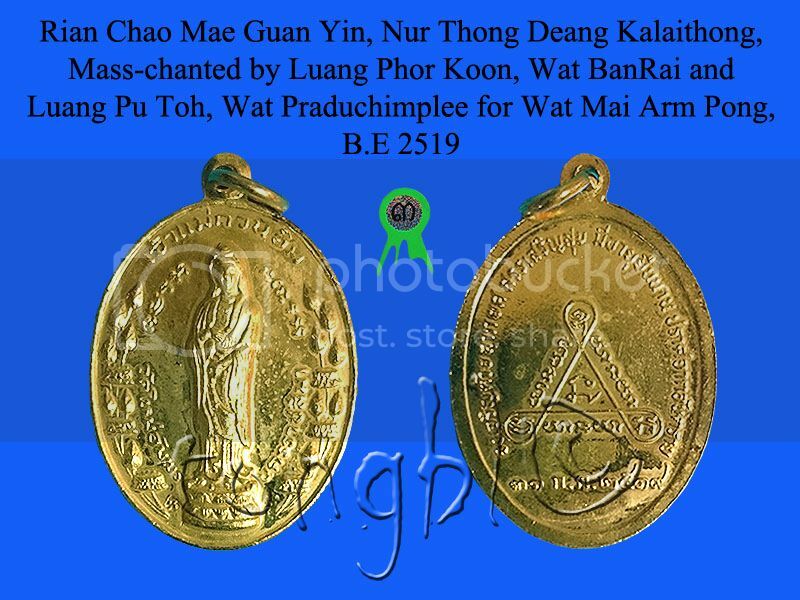 Mass-chanted by Luang Phor Koon, Wat BanRai and Luang Pu Toh, Wat Praduchimplee for Wat Mai Arm Pong, B.E 2519. 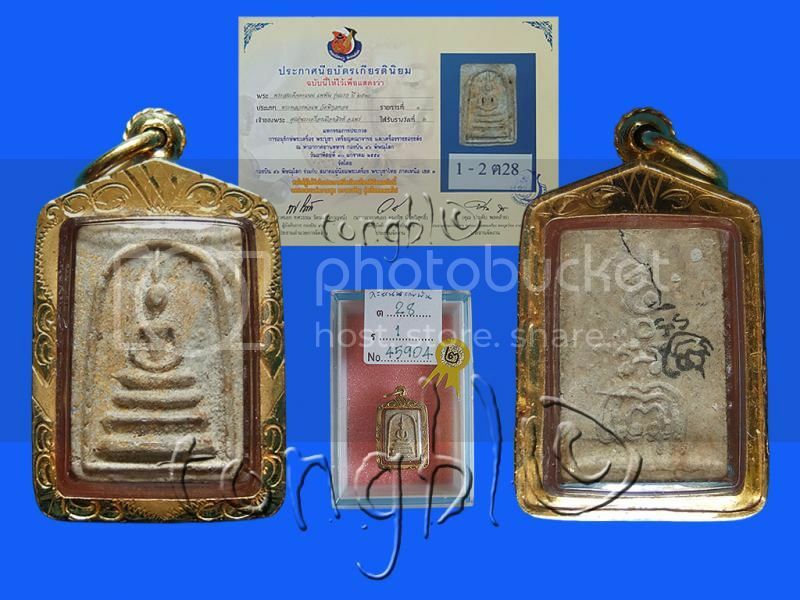 Awarded 3rd placing in amulet competition on 15/7/2555.